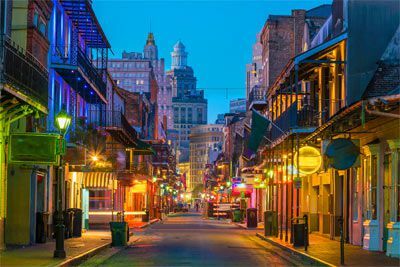 The historic French Quarter, the elegant Garden District, the lively music and colorful characters of Bourbon and Frenchmen Street--the thoroughfares of New Orleans are absolutely brimming with charm. The City that Care Forgot is a hotbed of incredible musicians, eateries, historical attractions, and more. From Jazz and Blues to Country and even Rock'n'Roll, you'll be tempted inside any number of restaurants, lounges, and clubs. 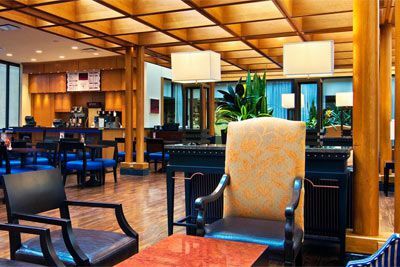 Cozy up to the bar and enjoy a beverage with dinner. Creole, Cajun, and other Southern culinary favorites are a specialty in this town. Tuck-in to a po' boy sandwich, a steaming dish of gumbo, étouffée, or jambalaya. Finer fare options include swordfish steaks, lobster, scallops, or blackened barracuda. For dessert, grab some fresh beignets to go at the famed Café du Monde. 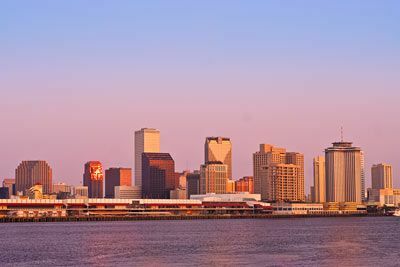 Learn about New Orleans' unique history when you sign-up for a variety of historic tours. Walk the peaceful aboveground cemeteries to view ornate tombs and gravestones, some dating back to the late 1700s. If architecture strikes your fancy, Southern Louisiana is well-known for its abundance of antebellum plantation homes, each with a story detailing the lives of the prominent local families that built and lived in them. Down on the riverfront, you can indulge your romantic side with lunch and scenic city views from the water aboard a real 19th Century paddlewheel steamboat tour. Families will enjoy The Audubon Zoo and Aquarium of the Americas with exhibits including an exotic mix of animals from around the globe, engaging educational programs, hands-on animal encounters, and lush gardens. Get up close and personal with Amur leopards, tigers, orangutans, and alligators. Touch a sting ray, feed a parakeet, and marvel at gigantic sharks and rays in the 400,000 gallon Gulf of Mexico Exhibit. Souvenirs are a must when you visit six-mile-long Magazine Street. Here, the centuries-old cottages trimmed in Victorian millwork offer collections of local and regional art, crafts, specialized clothing, decor, and the best boutiques to found anywhere in the city. Shop 'til you drop at Riverwalk Mall, hosting over 220 stores. Upscale shopping can be found at Canal Place, home of Saks Fifth Avenue, Brooks Brothers, Gucci and more. 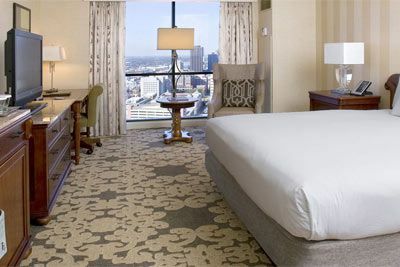 It's all about location in New Orleans and the Hilton New Orleans Riverside places you at the center of it all between the Warehouse and Arts District. 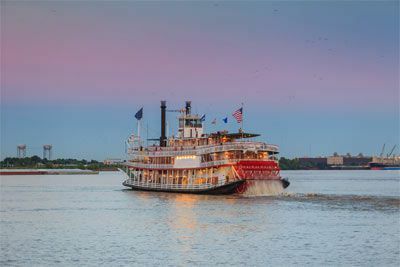 Nestled against the banks of the Mississippi, guests can watch the ships come sailing in or dive into the city life just steps away. 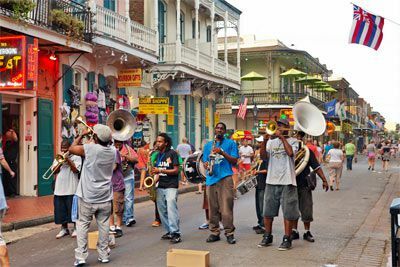 Grab a beignet, listen to live jazz, ride a streetcar, or hop into a parade, you never know what you’ll experience in the vibrant culture and excitement of New Orleans just outside the hotel's front door. 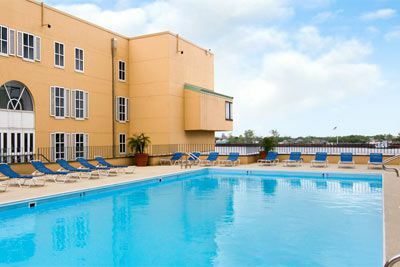 Shop the Outlet Collection, attached to the hotel, walk to the French Quarter, Jackson Square, the Audubon Aquarium, and Butterfly Garden and Zoo, as well as countless restaurants, art galleries and more. Start the day with traditional New Orleans classics like crawfish omelets or local favorites such as beignets. For lunch, stop in to the home of the world famous charbroiled oyster at Drago's Seafood Restaurant, where this cheesy, buttery dish is on every ‘must eat’ list. In the evening, visit Spirits, the hotel's open-air bar for a cocktail and American fare or travel upstairs to the Public Belt bar for speakeasy style and live music. On the go? Grab healthy options and get your coffee fix at Marketplace and River Blends Cafe. Whether you want a cardio fix or a sauna, you’ll find everything you need at The HealthClub by Hilton. Stay fit on-the-go with the fully equipped Athletic Center; New Orleans’ only indoor tennis courts; racquetball, squash, volleyball and basketball courts; whirlpool spas; fitness classes; access to two outdoor pools; and on-site certified personal trainers. Fees may apply. Standard guest rooms feature 1 king or 2 queen Hilton Serenity Beds (based on hotel availability), flat screen TV, mini-refrigerator, clock radio w/ MP3 connection, safe, hairdryer, iron/board, coffee/tea maker and more. 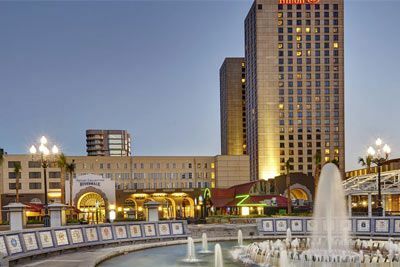 Hilton New Orleans Riverside is located approximately 13 miles from the Louis Armstrong New Orleans International Airport (MSY). Parking fees at the hotel are approximately $44 per night for self parking and $49 per night for Valet parking. Oversize parking avail when arranged in advance. Parking fees subject to change without notice. $100 March 1, 2020 to March 31, 2020. No refund after March 31, 2020; however, 50% of tuition paid may be applied toward tuition for another NWAS program within the next 12 months. Cancellation must be made in writing.